Skaha Bluffs is a picturesque provincial park just 3 kms south of Penticton in beautiful British Columbia, Canada. The panoramic vistas of lake Skaha are a compelling destination for tourists, hikers and rock climbers alike. 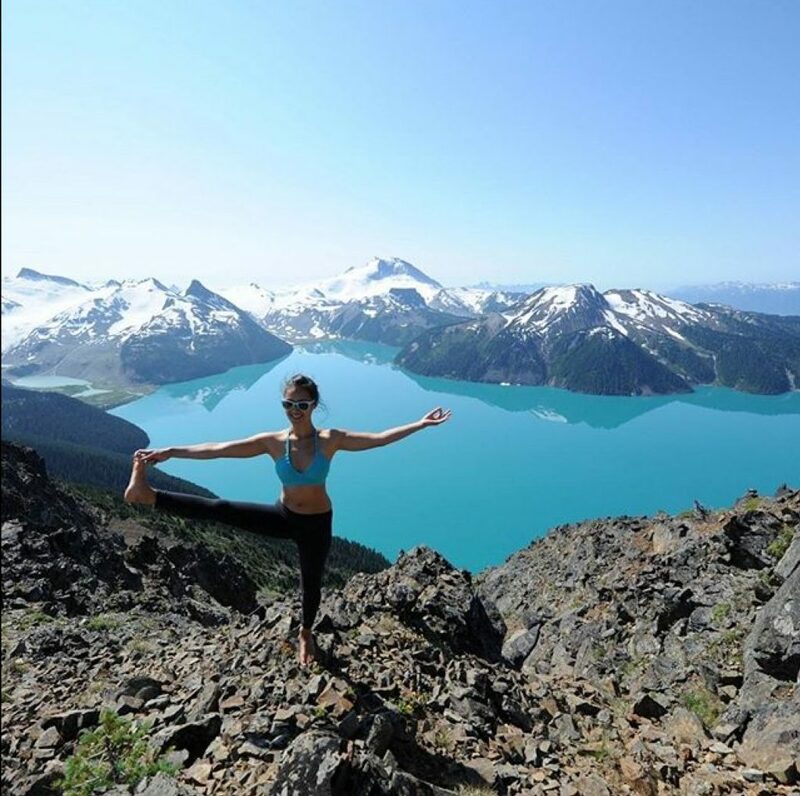 Hiking trails are mapped and offer rugged terrain for avid hikers, who are warned by British Columbia’s Travel site OurBC.com to wear ankle supporting boots. Within hundreds of acres, Skaha Bluffs offers a number of natural climbing walls with names like The Fortress, and Grand Canyon. Most climbs are less than 100 feet, and already have bolts and anchors in place for climbers. Many will attempt rock climbing with little to no experience. Skaha Rock Adventures is a rock climbing school that has been providing training for all levels of rock climbers since 1993. An authority on climbing and the Skaha area, they offer group packages, and excellent instruction with low guide to climber ratios. The popularity of climbing at Skaha Bluffs means that there have been several accidents in the park. Just last month a man in his 30’s was airlifted out of the park with serious injuries, after a fall from one of the climbing walls, aptly named, Foreplay. Avid yogi and adventurer Cam Lee had her own hellish experience while climbing at Skaha Bluffs. 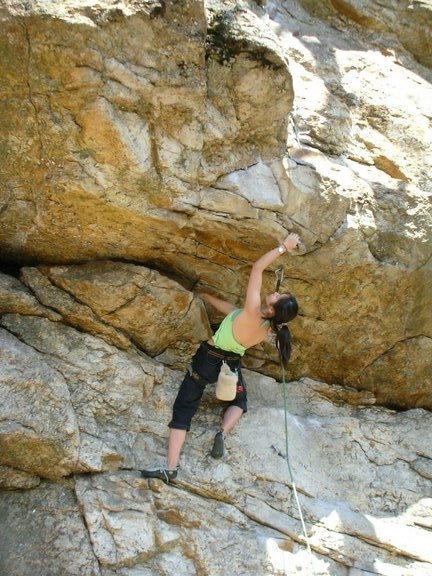 In the summer of 2008, I was outdoor climbing at Skaha Bluffs; I had spent the whole long weekend soaking up the sun by hiking through the park and climbing the canyons. On the last day, my friends and I hiked about 2 hours to climb a wall on the other side of the park. All seemed to be going well, until I fell. After the 30 foot fall, I was a bit shaken up and my ankle was a little bit sore, but I seemed to be fine. Worried that I might have sprained it, I immediately took off my shoe and began to elevate and ice it. As I rested my ankle, I watched people continue to climb, and I would tell them that I would be joining them later. I was optimistic that I didn’t sprain my ankle and it was just a little bruised. It wasn’t until I had to get up to use the bathroom that I realized that I couldn’t even put weight on my foot. I was devastated. I began to worry about how I would be able to make it out of the park; the 2 hour hike I made coming in wasn’t very smooth. The terrain I would have to cross was very rough, rocky, and unstable at points. As soon as I was aware of my situation, my friends began to brainstorm a solution which was to carry me out on a stretcher. With the help from my friends carrying me on the stretcher and piggy backing me, we made it out of the park before it got dark. Later at the hospital I found out what I thought was a sprain was actually a fractured tibia. I was so disappointed, it was just the beginning of the summer season, and many activities would have to be put on hold. My road to recovery was not the most pleasant. Suddenly, everyday simple tasks became a challenge. Just trying to go upstairs or opening doors became a struggle. Additionally, not being able to join in activities most of my friends were doing left me feeling like I was on the outside. I soon became accustomed to being on crutches and maneuvering around the limitations of my broken leg. My friends were incredibly supportive; taking me to my doctor’s appointments and even pushing me around in a wheelchair sometimes. It had been a long road (pardon the pun). The day my cast came off, I was tremendously excited and began to imagine the list of all the things I wanted to do. Then I was told that I probably wouldn’t be able to put weight on my leg for the next few weeks, and I would have go to physiotherapy to strengthen and gain back the mobility in my ankle. My heart sank. After my cast came off, I did everything the doctor recommended for a healthy recovery. I went to the pool to strengthen my muscles and did exercises. I also made an appointment with the recommended physiotherapist, but as a new patient the earliest appointment I could get was 3 weeks away. During this time, I began to grow antsy, the cast was off and I wanted to get rid of my crutches. One day, my friend told me that she was starting to teach out of her home and was offering to teach a class catering to my injury. I was incredible excited when I heard her propose this since it was exactly what I was looking for to curb my physical activity craving. On the first day when I went to my friend’s house for yoga, I was still on crutches and was unable to even place my foot on the floor without pain. In class there was only me and one other person, a lady who had seriously twisted her ankle. Thus, the entire yoga class was designed around our injuries, and we got plenty of individual attention. In one particular yoga class, I had never felt so aware and connected to my body than any other previous yoga class. By the end of the 1 hour session, I was able to bare weight on my broken leg! The moment my foot was able to touch the floor, I was ecstatic. I was shocked at how much 1 hour can do. I had felt like a miracle had happened. Yoga was my miracle. I continued to go to yoga, and within a month my leg was fully healed and I was able to walk and carryout my normal activities with ease. Thus, I found myself spending more and more time taking yoga classes. During this time, I found myself more aware of other neglected chronic injuries that I had accumulated over time from other activities. 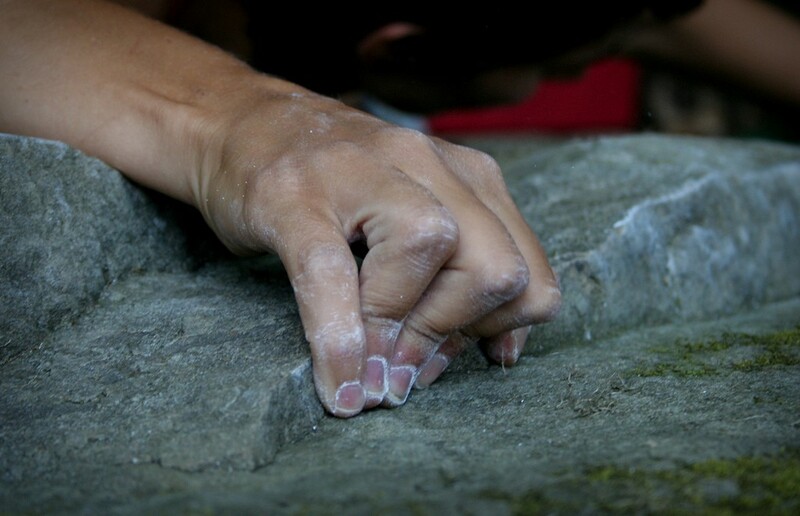 From climbing, I had developed chronic pain throughout my fingers, wrist and shoulders. I had sought out a solution for my pain from doctors and physiotherapists but they would never really have an answer other than to rest. I would carry out the doctor’s advice and rest, but the pain would always come back, and with a vengeance. With yoga, I found myself addressing my injuries in a more intelligent way; finding a path to healing other than just resting and then reinjuring it later. Before long, yoga became an integral part of my life. The slow transition over to yoga let me address a lot of neglected issues within my body, and the pain I had to endure gradually went away. Soon, I was completely pain free and it felt amazing. I didn’t want to go back to the time where I would simply tolerate the pain thinking that it was a necessity in order to continue my active lifestyle. If I had never broken my leg, I would have continued to inflict damage to my body. My yoga practice gave me a new-found respect for my body. Yoga was enlightening on how I treated my body, and how I wanted my body to feel in the future. Thus, yoga became a large part of my life. I went to yoga studios and experimented with different teachers, until I found a Mysore style Shala. At the Shala, with the help from my teachers, I got to develop my own practice that was best suited for me. With my own self practice, I was able to be completely consumed by yoga. I was able to find my own breath and create a link with my movements. As well, I was able to focus on my Drishti, instead of always watching the teacher and trying to keep up with their movements. After discovering my own self practice, I began to grow my own yoga practice and I would find a unique calmness in it. Furthermore, I broke away from just the physical practice of yoga, to experience the mental and spiritual aspects of yoga as well. The balance between physical and mental engagement was what I was missing in all my previous yoga experiences in fitness class, yoga tapes, and Bikrams. I can now say that yoga is truly complementary to my life; it helps me find balance and steadiness in my flow. I find that practicing yoga can be so rejuvenating and healing, not only for the body but also for the mind and the soul. I have found so much joy in yoga that I wanted to be able to share and spread the joy with others. 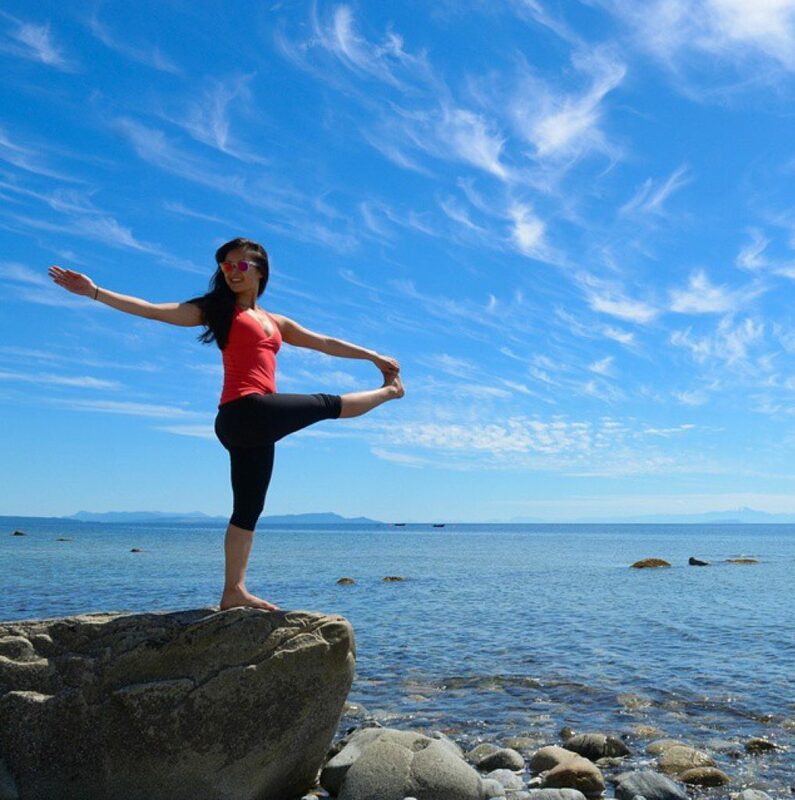 Continuing my yoga journey with teacher training is the perfect way to do that. As for the Skaha Bluffs, they’re still there. I’ve conquered them and bigger mountains. I can now see, they were just stepping stones to my miraculous journey of healing, and self-discovery through yoga. 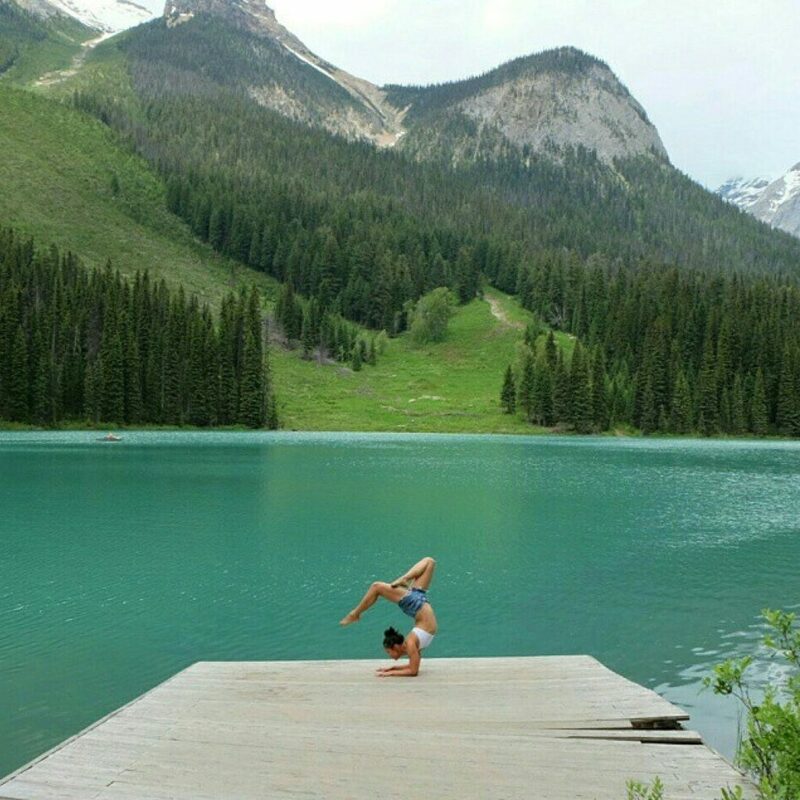 Connect with Cam by visiting her website www.camleeyoga.com or by messaging her on Instagram, Facebook, or Twitter.